A new law that has been passed in Florida will make it much harder for people to get away with having their dogs falsely registered as “service dogs”. 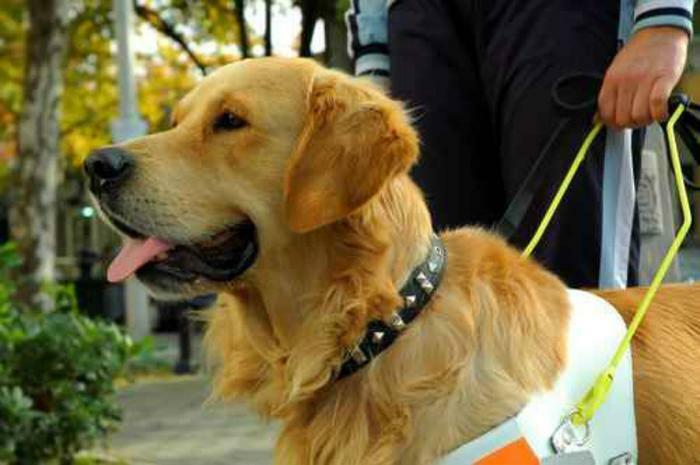 Businesses will now be able to ask questions and gauge if an animal is really a service dog, but at same time it ensures that people with real disabilities are not being persecuted without cause. The law, which went into effect on July 1, classifies misrepresenting a dog as a service animal as a second degree misdemeanor. Those who are caught breaking the law face a $500 fine and up to 60 days in jail. In addition to punishing those who misrepresent their animal, the law also stipulates that any business or merchant that fails to provide service to someone with a service dog will also be charged with a second degree misdemeanor. The fine for this offense is also $500 and those responsible also face the possibility of 30 hours of community service that will focus on helping the disabled community. These community service hours must be completed within six months of the sentencing. The Florida Restaurant Association has been pushing for a change like this for some time. They noticed a trend of people claiming to have service animals so that they could bring them into establishments that they otherwise would not be allowed in. People with real disabilities who require service dogs also applaud the new law and the peace of mind it will bring them. “People who pass their pets off as service [animals] are making people question and second guess us,” said Tiffany Baylor, who was harassed by security guards when trying to bring her service dog into a state museum in Florida. One serious hurdle that must overcome is how to appropriately implement and enforce the new law. Any person can claim that their pet is a service animal, but how can you spot the real ones from the fakes? Business owners and merchants are urged to simply ask if the animal is a service animal and what it is trained to do. The obvious problem with this is that there is no way to absolutely verify if a person is telling the truth about their animal or not. The thing employees and owners will have to look for is the amount of focus that the animals have. Michael Pierce, who is legally blind and requires a service dog, explains how service animals generally act in public. “If it’s very calm, and docile, and follows commands it’s given, then it’s a trained service dog. If it’s barking, jumping around, then it’s probably not trained,” he said. Jason Quick, who is a Florida lawyer, explains how pet owners could be charged for misrepresenting their animals. “Probably the way this would come up is if the animal were to destroy property, attack someone or to be some type of incident, and it would be investigated,” he said. Although the law cannot cover every abuse case, Pierce and others hope that it will deter liars and make it easier for people with real disabilities to take their service animals places without being harassed. When is a service dog not a service dog?